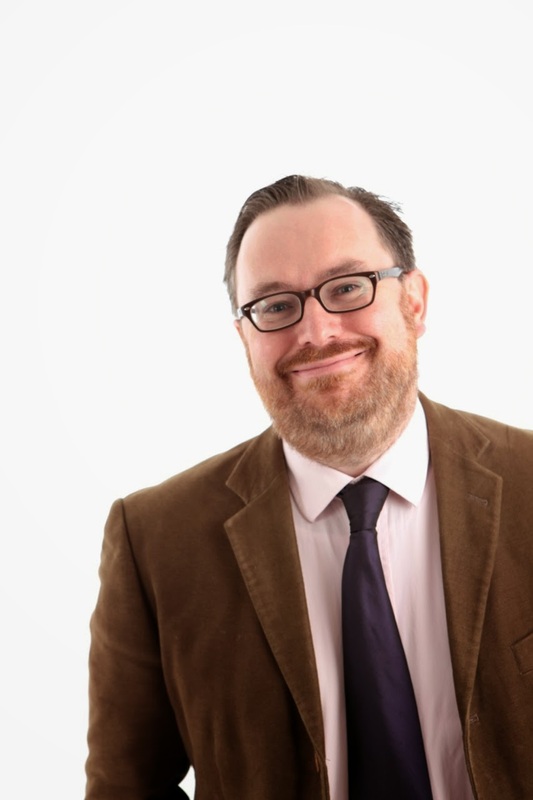 In the last blog post, I mentioned a brilliant edition of UK Scriptwriters podcast with writer and Script editor Andrew Ellard, who tweets interesting writer stuff here. In the podcast, he talks about the three kinds of script editors that are out there. The Conduit, Contributor and Consultant. (More on these here.) He sees his job as the Consultant, that is a script editor work doesn't collate the notes of others or throw in gags, but gives details notes to get the stories and characters working properly. Essentially, this kind of Script Editor is the writer's friend. Huh. I can already hear you splurting out your fourth coffee of the day. "I'm a writer! It's Me vs The World. No one understands my creative vision! Blah blah blah." Different shows need different kinds of script editors. I don't plan to addressing that here. But what is worthy of note is the nature of notes of this kind. Andrew said he sees his job as a script editor as trying to help the writer execute their idea in the best way possible. This highlights one of the key issues around note giving and note receiving. My rule of thumb on notes is that the best notes are an articulation of an awful truth you’ve been suppressing all along (which I say here). But the worst kind of note is one appears to be about one thing, but is actually about another. This is why experienced writers advise rookies to think about 'the note behind the note'. The note behind the note, however, is often 'I hate this idea' or 'I wish this episode were about something else' or 'I've never liked this character'. These notes are profoundly annoying and unhelpful because they're dishonest. Worse, you can't really do anything about them. If you're giving notes on a script, it’s worth asking yourself ‘Am I trying to help the writer achieve their vision? Or am I trying to change the writer’s vision?’ It may be the latter, and that may be entirely justified and reasonable given the state of the script, but one needs to have an honest conversation about that. In fact, one should probably have had an honest conversation about it earlier at the outline/treatment stage. But you didn't read the treatment properly, did you? Because the treatment, or Scene by Scene Outline, was 1500 words of dense text. (See Deadly Sin 1: Skimming here) Okay, maybe I'm being a little harsh here. We're all busy, and outlines are not exciting to look at, or inviting you to read them over and over to get them in your head so you can imagine the episode and respond constructively. But we all have to do things we don't enjoy. And I guess that's why you're paid a decent monthly salary, with job security, serviced office, assistant and a pension. Sorry. But you get the point. So let's take a silly example. What are you meant to make of that note? There could be any number of reasons for it - which could be that the notegiver knows for a fact that theme parks are expensive to film in; or had a bad experience at one as a child and never liked them; or has some hare-braned notion that 'Theme Parks aren't funny'. To be honest, if an experienced exec producer says that 'Theme Parks aren't funny' and then makes a case for it, I'm all ears. You're a fool to ignore the advice of someone with decades more experience than you. You could make the case, for example, that 'Fashion Shows aren't funny'. The reason for that, you could argue, is that they are already inherently preposterous. It's normally funnier to make something run-of-the-mill preposterous. But the skill of good writing is that it finds new ways to do all kinds of things. I'm sure there's a funny Ab Fab scene or two at a fashion show. Occasionally, you do get silly arbitrary notes. Writers are always swapping stories of daft notes they've had. (It's a way of the over-educated powerless writers asserting their intellectual superiority. I know. Pathetic, really). If you follow Network Notes on Twitter you'll see some of the most ridiculous examples that I'm not entirely sure I believe (or are ripped out of context but a furious/frustrated writer). eg. So, that's the silly extreme stuff. One more example, which is a little more nuanced. It's also a more common one in which are faults on both sides, so it's a fair fight. You're writing Series 2 of your sitcom so decide you want to do a ‘bottle’ episode in which all the characters are trapped in one confined place for a whole episode. It’s a fairly standard sitcom trick that makes writers feel like they’re being clever. It’s often a broken lift, but it can be an overnight prison lock-in (Porridge), a psychiatrist’s office (Miranda) or a Chinese Restaurant where a table is never available (Seinfeld). So far so trad. Initially, producers like episodes like this because they're cheap to produce. If you're in a studio, you probably don't need any location filming at all - and ideally no outside characters. Budget saved. Tick. Line producer happy. Writer happy. And actors normally love this sort of episode too, because it feels like theatre - which everyone respects more than TV - and someone might have an emotional breakdown or a big character revelation. Aah, the sniff of awards. An exec, however, is probably going to worry that the episode is going to be boring. And, to be honest, that is a real danger. But, rather than say so, the notes make various tactful suggestions about 'opening out the episode' and 'moving things on' - which are the only thing the episode can't do given it's parameters. It's clear from the subtext of the note that exec/producer/channel has lost confidence in the idea and think that either you don't have the talent or experience to pull off this episode - and that you've written a tiresomely derivative, unfunny Beckett play - or that the audience don't have the attention span. They may well be right about one of more of these things. It may well be that you, the writer, have bitten off more than you can chew in you bottle episode, so you might do well to rethink the whole thing. So, let's stop being British, tactful and embarrassed. Notes need to be clear. That is the only way they can be constructive. But notes also need to be timely - this conversation about the troubled bottle episode should have been had way earlier, before the writers spent three of weeks sweating over the first two drafts of this script, so don't be surprised if they're not wedded to it and resistant to major changes. Bottle episodes always run into problems like this, so have the conversation at the outline stage - ideally even earlier. TV is made fast, and there's never enough money (especially with the BBC's ludicrous Delivering Quality First idiocy), which is why it is a collaborative medium. Therefore, trust is essential. Notes which don't say what they mean don't help this. So, if an episode idea, scene or moment has been agreed, let's all try and find a way of making it work, rather than undermining the entire process with oblique comments that don't really help anyone. Or we're honest enough to say 'this isn't working, and isn't going to work. So let's have a new idea'. Advice like this and much else besides can be found in Writing That Sitcom, which walks you through the whole process of going from idea to script and beyond. Available as an ebook for Kindle & Kindle App. Or as a PDF here. 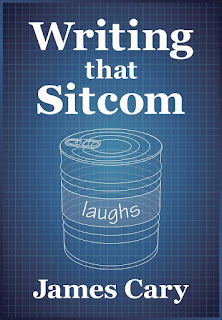 "If you're even thinking of writing sitcom, you need this book. A couple of years ago, I wrote a blog post about guest characters in sitcoms – and the danger of getting too excited about writing them. The audience aren’t as interested in the guest characters as you are. They’re all about the main characters they’ve come to know, understand and, hopefully, love. So don't get carried away. The successful and memorable ones tended to be completely extraordinary and at least partly based on truth eg. The Soup Nazi or The Bubble Boy. Their names explained exactly who they were so the audience were up to speed straight and we could get on with the jokes. A catchphrase helped that along too ('No soup for you!'') But what we enjoyed the most about these characters is the reactions of the regular cast to them. Seeing George humbly bowing to the Soup Nazi and then being cheated of a bread roll and then being banned is funny - because it's George. And then there was the unpleasant incident with the Bubble Boy... Other characters in Seinfeld weren't funny at all but downright annoying, intentionally so because they put the regular characters into awkward or unpleasant situations, one of the most obvious examples being the infuriating comedy hack Banya. Banya made Jerry funny. I'm happy with everything I wrote there. But it kind of goes against my case about not getting hung up on guest characters and not bothering to make them funny because the audience don't care. These guest characters are really funny and work brilliant. Why? Well, I think I might have stumbled across an answer, whilst processing some really interesting podcasts. The first was UK Scriptwriters latest podcast with Andrew Ellard, who’s script edited Miranda, IT Crowd and a bunch of other stuff. I know Andrew a bit, and when it comes to sitcom logic and motivation, this guy is in the Premier League – which may not sound like a compliment, but it really is, especially bearing in mind my last post about The Logic Police. 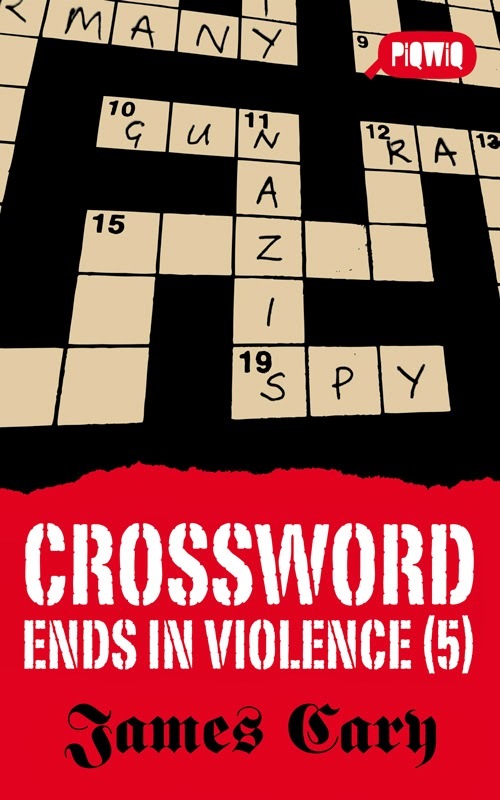 In the podcast, Andrew said something about conflict that struck me and made me thing that sometimes this term is overplayed in sitcom. Andrew said that there doesn’t need to be conflict, necessarily, but ‘difference’. That is to say, you need characters with clear points of view that contrast. And they’re stuck together in a situation and stuff goes wrong. But the conflict is more than tiresomely repetitive arguments from different viewpoints with nothing much actually happening. An Argument – an expressed difference of opinion: either a blazing row or a passive aggression scene between some characters. Unfulfilled Desire – a character has a life goal that they want to achieve, but can’t. And in the movie this desire will be fulfilled – ideally in a way they hadn’t expected. But in a sitcom, this is life goal remains unfulfilled in pretty much every episode. Basil Fawlty wants to run a classy hotel, but he’s too much of a snob to see that this is a fools errand. And he’s too lazy to put the work in to make this a reality. Avoiding a Negative Outcome – I have to do something in a way that doesn’t get me (or someone else) hurt or into trouble. Huge special DVD boxed set available. Yay! But not in the UK. Boooo! Confusion – You’re in conflict with the world around you because you don’t have all the facts. In a movie, this state doesn’t last long (here’s my crazy but literal ‘fish out of water’ example – Splash) In a sitcom, this situation can be an almost permanent state of affairs, especially where aliens are involved. eg. Mork and Mindy, Third Rock from the Sun, My Hero. 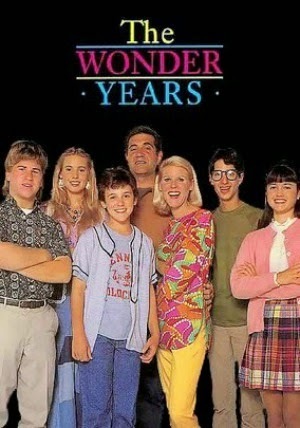 Or even a ‘coming of age’ ‘how-does-this-crazy-world-work?’ show like The Wonder Years where a child is trying to figure out the world around him. A Dilemma – Your hero has a choice to make, but all the choices are bad. I’m sure Craig would be the first to admit this is not exhaustive or exact list. I think some of these categories overlap with each other. For example, ‘An Argument’ is a subset of all them, rather than a conflict in itself. An argument comes about when someone is struggling against circumstance (represented by a character) or confused in some way and starts to lash out. And as they struggle, they may be left with ‘a dilemma’ in which they can’t avoid a ‘negative outcome’. You get the idea. But it’s a really interesting list nonetheless. It demonstrates that are many kinds of conflict beyond the verbal disagreement, which is probably the least interesting of them all – and because it’s not all that interesting, it’s very difficult to write. So, how do we get to Seinfeld Guest Characters from here? I’m getting to that. Stay with me. As Craig and John talked on the podcast, they talked about how your characters can want the same thing – but still be in conflict. And here we come back to Andrew Ellard's 'Differences'. The characters go about things differently, or do things to avoid an argument which results in an argument, or different kind of conflict. Then John and Craig talked about keeping the characters likeable and believable. We’re back to the logic police, and it occurred to me that our regular characters may be larger-than-life, but there’s always a reason for what they do. Basil Fawtly is not angry. People remember him beating that car with a branch, but this isn’t because he’s fundamentally an angry man. He’s driven himself (ha ha. Driven. Sorry) to this. Fawlty gets angry because he’s a snob, and he wants to run a classy hotel so he can be with the higher class people. But he doesn’t belong there and he’s not very good at running at hotel (for various reasons). Everything he does is motivated. He’s reasonable to the point of explosion. Like Victor Meldrew – who only gets angry when he is treated like an irrelevance. His cause is usually just and we’re on his side. The regular characters, then, are reasonable – even if they’re monsters. Their quests and causes have to make sense. But with guest characters, all bets are off. They can be unreasonable. We don’t have to like them, or even understand why they’re crazy because it’s almost as if they’re from another world. You can have an efficious parking attendant who seems to get pleasure from giving people tickets. This character would probably be tiresome, or not believable, as a regular character. But they might work well for a scene. A character who is needed for the sake of plausibility – ie. It would be odd for there not to be a nurse/teacher/traffic warden in the scene you're writing. Your characters report a crime at a police station. You need a policeman at an incident desk, but the scene is not about them. These are characters who are there because they're essential to the scene. Someone who might be in a few scenes and arrives on the scene as a sibling, or a love interest, a temporary neighbour or an inspector. It’s as if they’re representing the real world – the world of the audience. And they do and say the kind of things we would do and say. Often, they walk in are amazed at what they find. 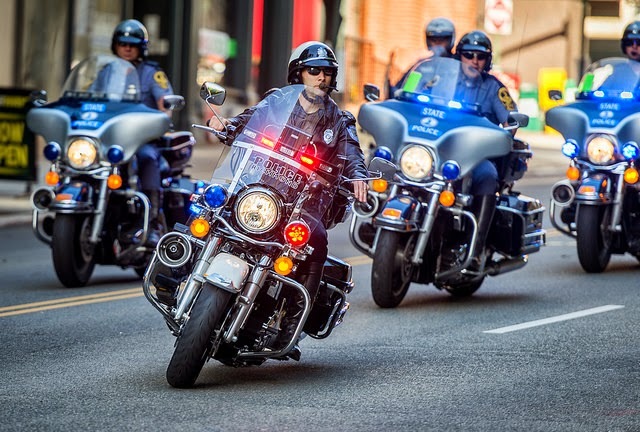 A lot of their action is reaction – but sometimes they make moves that the regulars have to respond to (esp if they’re an inspector or authority figure), if that's part of the their mandate. In Bluestone 42, we’ve had a few characters like this; not least the Vet who ends up being interrogated by the team in Series 1; and the politician whom Nick chases away from Mary in Series 2. These are forces of nature who react in bizarre or unexpected ways – and the episode often turns on these characters. We have no idea why they are like this – or even what becomes of them. And Seinfeld’s most memorable guests characters fit into this category: The Soup Nazi, Lt Bookman (the library detective), The Bubble Boy, Jimmy (who always refers to himself as ‘Jimmy’), The Doorman, Izzy Mandelbaum (the octagenarian fitness freak). And even characters who were in a handful of episodes like George Steinbrenner, Jackie Chiles (the lawyer), Jack Klompus (from ‘the pen’ episode), Bania, Mr Peterman and Mr Pitt were all crazy in their own way. And that’s how they created memorable guests characters on Seinfeld that could be a big part of a plot. Because they weren’t regular, we didn’t need backstory, motivation or moderation. We didn't need to like them. They arrived crazy. They drive out regular characters crazy. And they leave crazy. I'm sure there are more kinds of Guest Character, so please leave your thoughts and suggestions in the comments section. Actual Police, not Logic Police, but you get the idea. I’ve written before about the infuriating feeling you get when a TV comedy or a movie isn’t working when you’re screaming at the screen, shouting ‘You would never do that!’ or ‘You’d just call the police’ (like here), but following a question on a recent edition of Scriptnotes, I thought there were one or two other things to so. So let’s back up. You’ve plotted your script. Maybe you’ve written a couple of drafts – and then you get a note. ‘This scene is very funny, but would Jennifer really run down the street in a giraffe costume, especially given how self-conscious she is?’ or ‘In the emergency, she calls her brother. Wouldn’t she call her mother/the police/Rentokil?’ You get the idea. So, does that mean you need to change it? Maybe. Maybe not. Let’s ask the most basic question first. Maybe you really need that first call to go the sister, not the police. In which case, maybe she picks up her phone frantically and speed dials her sister – whom she tells to get off the phone because she needs to call the police, and you’re into the conversation to the sister that you needed. Maybe the sister calls her at exactly the wrong moment – and she’s been calling her throughout the episode at equally inconvenient moments and this is the topper. You might well be able to address the note and keep the order of events you need. In which case, take the note, and make the change and be grateful for a good note. It just made your script better. Why has this note been given? It could be that this note feels very unhelpful. Someone is trying to justify their salary by chipping in. They says idiotic stuff like ‘I would never do that’ to which the answer is ‘No, of course you wouldn't because you’re not Jennifer and you’re not the character in the story.' Does this person even understand who Jennifer is? Possibly not. And who's fault is that? Have you written Jennifer as this character, or is this just in your head on not on the page? The answer to this note might ‘Yes. Jennifer wouldn’t normally. That’s why it’s an interesting story. Events have taken such a terrible turn, and she’s made a series of such bad decisions that she has no choice but to do this thing.’ But is that true? It may be that you’ve left the door open to other options which she could plausibly do, in which case you need to close those, so the note is valid and you have failed as a writer. That happens. Or it could be the person is simply not very good at giving notes, or trying to look clever and they failed as a note-giver. That happens too. When is this note being given? Maybe this is draft 7 of a script, and this bit hasn’t really changed since draft 2. Someone says ‘Isn’t it odd that Jack runs out of the door still holding the landline phone?’ And the answer might be ‘Good point. It does feel odd, and we don’t get much out of him still holding the phone, so he could throw it down.’ Or the answer might be ‘I suppose it might be odd, but it’s all a bit hectic and he’s stressed – and he might have forgotten it’s not his mobile, but his cordless landline. And he’s a smart guy. So, I suppose it is odd, but it hasn’t seemed odd ‘til now, and it still doesn’t seem all that odd, so we may well be overthinking this.’ You’re the writer. It’s your script (despite what you’re told). You decide. There are some illogicalities that don't seem to matter all that much - especially after the climax of the story, and something happens which is nice topper to what's gone before. You've earned that one, and it's probably fine, but it might not be. In general, though, illogicalities cause confusion and uncertainty - and a confused audience doesn't laugh. If you spot a logic problem and you have the luxury of time to be able to unpick the whole episode and fix that one problem – that’s great. It’s often just a question of closing off the alternatives so that illogical step for you character is the only realistic or plausible option. Or the option is made by mistake or in haste and is irreversible. Or another character teases this character for being so predictable and an argument ensues, so that your character does what he need them to do – doing the illogical thing, that’s motivated by a desire to prove another character wrong. Or impress someone hot. Sometimes an action by a character seems illogical but isn’t because you've done your groundwork, but it's not immediately obvious. In which case, you could try writing the exposition or explaining it in some way. More on that here and here. Quite often, when you write it and read it through with the cast – or even shoot it on camera, you realise you don’t need it after all, but that’s fine. That’s what an edit is for. But if you’re really against the clock and you start pulling on threads, the whole thing can unravel before your eyes. I sometimes worry about addressing a logic issue and thinking that I’m going to replace it with someone brutally logical but less funny or original. So one other way of cheating is to draw attention to the illogicality and own it – what’s frequently called ‘Hanging a Lantern’ on it (they mention this in the podcast). Rather than hide the illogicality in a darkened corner, you light it up. What does this look like? It may be some raised eyebrows, or a comment or a brief exchange – ideally with a joke. After all, it is a sitcom. If you want to hang out with @sitcomgeek, and talk about stuff like this, I'm doing a few workshops alongside the talented, funny and delightful Dave Cohen (who also writes the songs for Horrible Histories, among many other things). 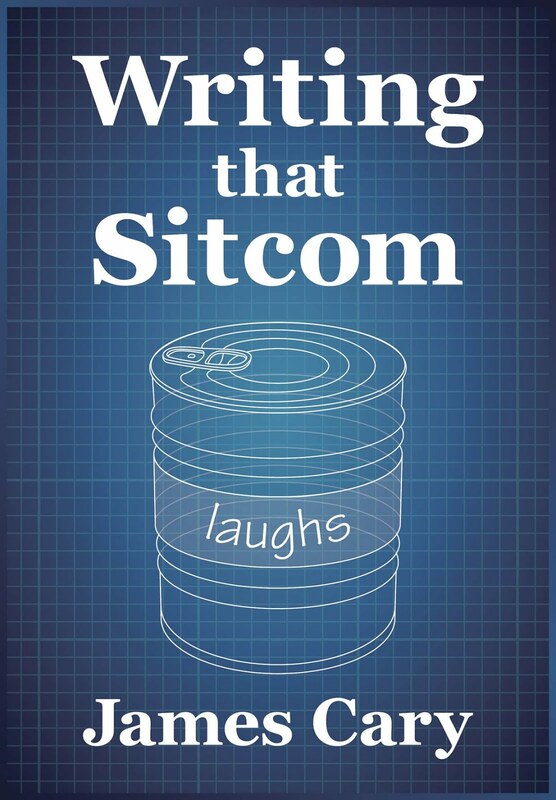 Two different sessions on Sitcom Writing (12 & 13 March) and one session on Breaking In to Comedy (20 March). More details here.